The Costa Rica Yacht Club is famous among those who sail around the world in their vessels. This sailors know about the prestige and great reputation of our comfortable and safe marina, and are also aware of the possibility of taking a short or extended rest, either to explore the beauties offered by Costa Rica's inland. Or to head back home for a couple of months in order to visit the family. Either way, they know that during their absence, they can count on us to take care of their most precious possession. The most important thing is that our reasonable prices and our marina keepership fee include the assistance of our experienced staff, from the first minute; swimming pool use, restrooms, showers, boarding dock, and ship transfer service. The club members, yachters from all around the world and the travel agents that offer fishing tours can also find in Yacht Club a comfortable and safe place to cast anchor. We are truly the sport navigation center of Costa Rica. At Costa Rica Yacht Club, the quality of our service and its value are the secret of our success, and the reason why our membership has been solid and faithful for 55 years. 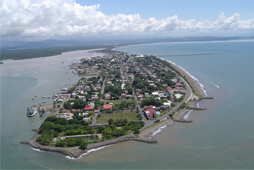 The number of tourists that visit Costa Rica and discover the benefits of our hotel´s location and the convenience of casting anchor at Puntarenas' estuary is constantly increasing. Both our visitors and our members enjoy a sea of advantages. When visiting us, they can leave everything in our hands, because we take care of every single detail so you can freely set sail, explore, fish or water-ski. You can also join our club. Call us if you want further information on memberships.